Modern commercial ancestral DNA testing can reveal changes in the cultural identify of our ancestors! 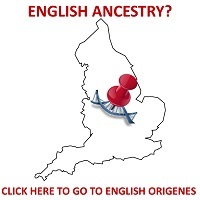 An essential read for anyone who was Adopted, find out how to use your DNA to identify your biological father's surname and pinpoint specific locations associated with your Scottish Paternal ancestors. Using the New Scottish Origenes Maps to Pinpoint an Ancestral Origin! 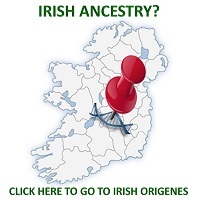 A sample DNA Case Study which shows how the NEW Scottish Origenes Surnames, Clans, Castles and DNA maps can be used to rediscover your Scottish ancestral origin can be downloaded and studied. Case Study 17: Utilising the NEW Scottish Surnames and DNA Map! With over 4,000 Scottish surnames, find out how your DNA can reveal your ancestral origin! Case Study 16: Uncovering a 400 year old Family Secret! A name change and a link to a famous battle all uncovered with modern science! There are an estimated 11 different McMillan Clans scattered throughout the West of Scotland. Only a Y-DNA test can determine which one you descend from! Mr Hendersons closest most frequent genetic matches revealed his Scottish ancestors lived close to Glasgow City roughly 1000 years ago. CASE STUDY 12: A Family mystery solved!